For Heart Warrior Children - to celebrate the anniversary of their open heart surgery. Supporting their CHD and to raise awareness. 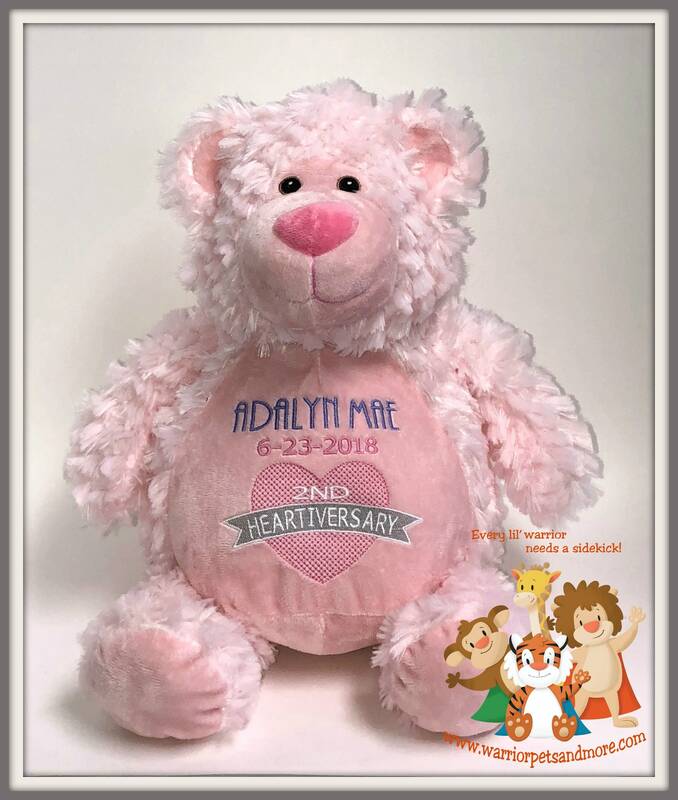 Each pet is personalized with the child's name and surgery date. Please indicate whether you want the design for a boy or girl. 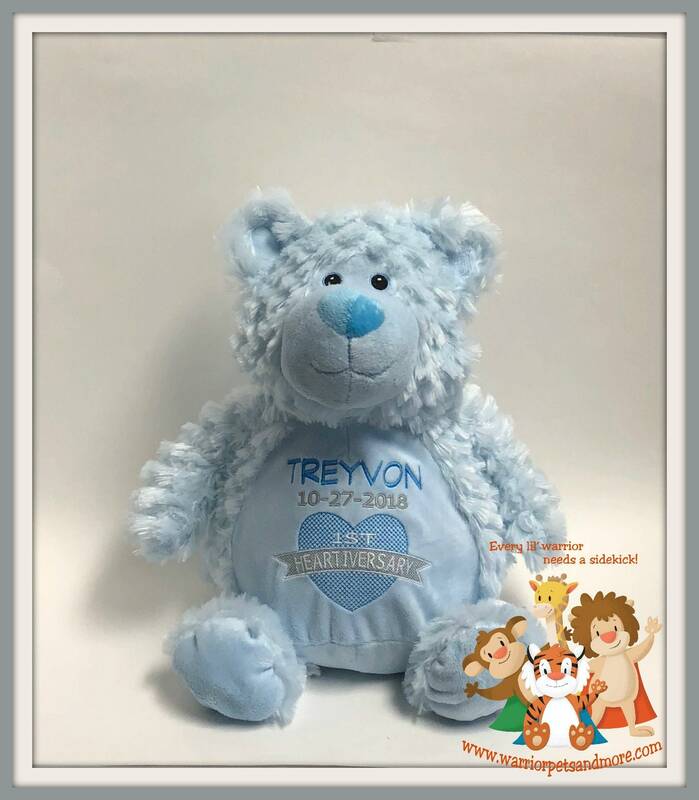 Each Warrior Pet brings a smile to the face of these little children that have gone through the pain of open heart surgery, and a great companion to take with them on future doctor appointments or hospital admissions. colors or I will use Please put the child's name and the date you wanted embroidered in the comment box. I will send you a proof prior to stitching, will convo you or if you prefer will email the proof. Teddy Bear is approximately 16" tall. You can remove the stuffing pods and machine wash the body to keep it nice and clean. Please feel free to contact me on facebook if you prefer to message regarding your order.